Movie Review - 'Snow White and the Huntsman' - Into The Woods, With Nary A Hi-Ho A dark new version of the Snow White story plays up the tale's bleaker, more brutal themes, and allows its heroine more agency than most tellings. Charlize Theron, Kristen Stewart and Chris Hemsworth star. Dressed To Kill: Charlize Theron is a pointedly wicked Queen Ravenna in Snow White and the Huntsman. What Charlize Theron does for Snow White and The Huntsman in her role as the Wicked Queen is a bit like what Godzilla does for a Godzilla movie: She gives you something big and distracting to look at while a lot of thinly defined victims run around frantically trying to avoid a grisly death at her hand. 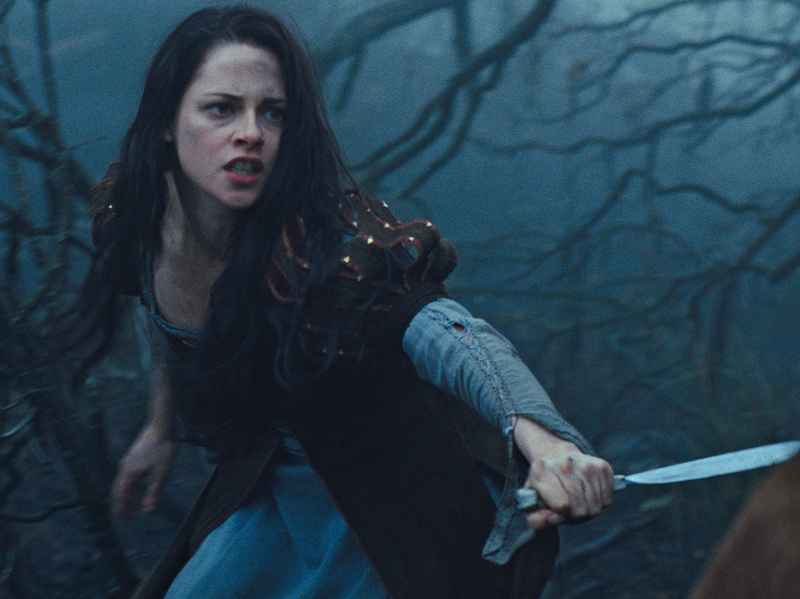 Having fled the tower, Kristen Stewart's Snow White teams up with the queen's huntsman and organizes a resistance.